IF STOCKS ARE PREPARED AND AUTO MANUFACTURERS ARE READY, THE PLANT SHUTDOWN PERIOD PROVIDES A WINDOW OF OPPORTUNITY: “However, problems can be increasingly difficult to overcome so it is vital that manufacturers and their suppliers prepare well for the period of reduced activity,” said Evolution Time Critical managing director Brad Brennan. The hardest problems to counter for automatove supply chains often emerge during summer shutdowns. Supply chain issues during auto plant shutdowns can be exacerbated by reduced access to stocks. The automotive industry acknowledges the benefits of supply chain clarity and using a third-party expert. The automotive industry is entering a period of calm before the storm, according to Evolution Time Critical, a Europe-based automotive emergency logistics specialist. 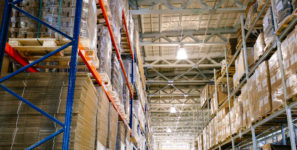 Production traditionally slows as the summer shutdown period approaches, but this can herald a complex and testing period for its supply chain. While shutdowns may represent the quietest periods of automotive production, they can also raise the most troublesome problems that require expert knowledge to overcome. The hardest problems to counter often emerge during summer shutdowns, partly due to the skeleton staff operated by the industry during this period. Premium freight and emergency logistics expertise are vital provisions to ensure that previously robust supply chain links are not fractured, or production restart jeopardised, according to Evolution Time Critical managing director Brad Brennan. This year has been hectic for automotive production, with time contraction and a greater number of new model launches placing increased pressure on the supply chain to adapt. Summer shutdowns provide an opportunity for suppliers to catch up and reinvigorate the supply chain, and also offer an essential window for production relocation, tooling repair or replacement.